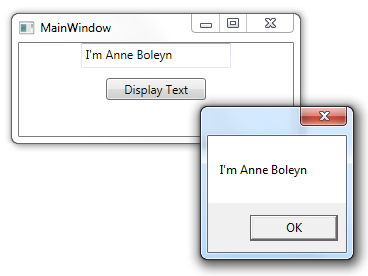 A TextBox control is a control that displays some text and allows a user to edit it. The Text property controls that text that is displayed in the TextBox. It can be set, to indicate the text that should appear in the TextBox. It can also be read, to retrieve text entered by the user. The user can edit this text or enter new text.